Due to the health of the administrator, EF is on an indefinite hiatus (please read this announcement for more information). Registrations and submissions are closed, but members are very welcome to continue roleplaying. Important announcements and updates can be found here, so please make sure you read any new posts. Members are encouraged to reply to announcements with comments or feedback. 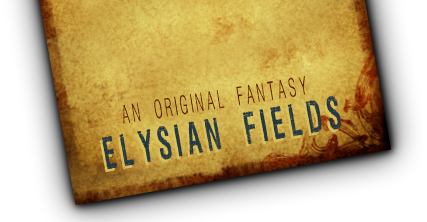 Elysia is smaller than Earth but has a similar climate and varied habitats. Only the Anyeli Empire has a federal government; the rest of the population (which is mostly focused on the mainland) is divided into a few city-states and scattered settlements. This forum is for those areas that either cross the IC/OOC divide or the boundaries between realms, or that just don't fit anywhere else. Archived topics you might still like to look at or revive. Please read the Thread & Archives FAQ for more information. Looking for someone to roleplay with or a thread to join? Please make a new thread for every request/ad. Get your OOC stuff here. :D Games, chit-chat, contests and plenty of other stuff to keep you occupied on EF when you're not in character.